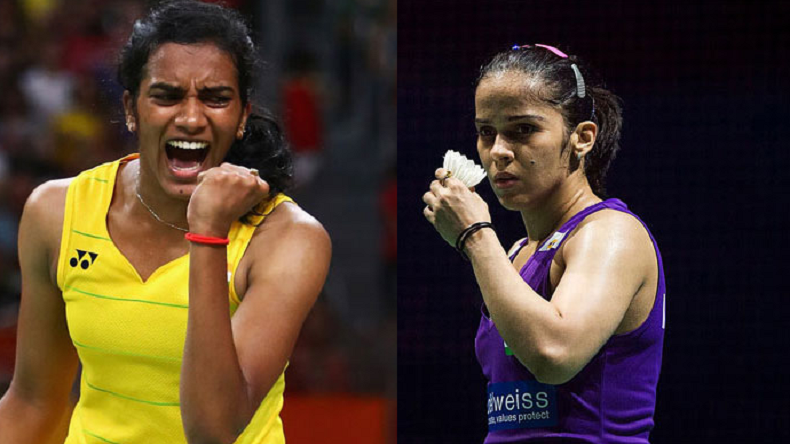 On the day 8 of the Asian Games 2018, badminton star Saina Nehwal and PV Sindhu entered the semifinals of the women's singles Asiad Games with thumping victories on Sunday. Interestingly, both the India badminton seeds defeated Thai players. Saina crushed Ratchanok Intanon's challenge, while Sindhu beat Nitchaon Jundapol in the quarterfinals. Indian ace shuttlers Saina Nehwal and PV Sindhu on Sunday created history as both the star players booked their places in the women’s singles semifinal. In the quarterfinals, Saina Nehwal defeated Thai opponents Ratchanok Intanon by 21-18, 21-16. While her comrade PV Sindhu beat Thailand’s Nitchaon Jundapol by 21-11, 16-21, 21-14. Saina and Sindhu are both assured of bronze, which will be a first for India. With the victory in women’s singles, Indian players confirmed a bronze in Asian Games which will be India’s first individual medal in last 37 years. The last individual medal in badminton at Asian Games was bagged by Syed Modi in 1981. In the semifinals to be held on Sunday, Saina will compete Chinese Taipei top seed and world’s no 1 badminton player Tai Tzu Ying. On the other side, Sindhu’s opponent has not been decided yet, either she will face China’s Chen Yufei or world no. 2 player Japan’s Akane Yamaguchi.